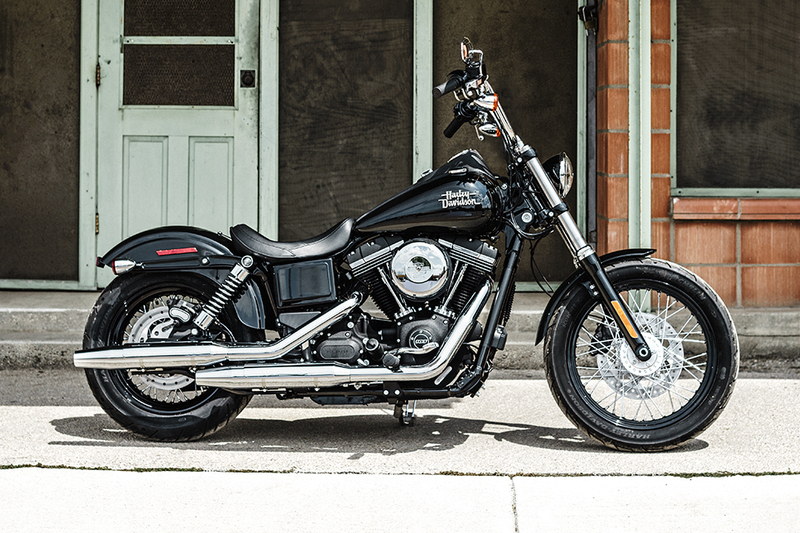 The 2016 Harley-Davidson® Street Bob® stays true to classic bobber style by stripping it down to only the essentials. 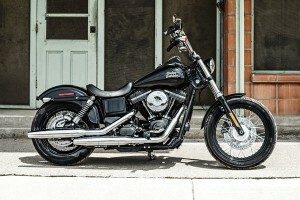 That makes the latest Street Bob® one of the most distinctive models in the Harley-Davidson® Dyna lineup, and it’s the perfect bike if you want the less is more aesthetic of an authentic bobber. 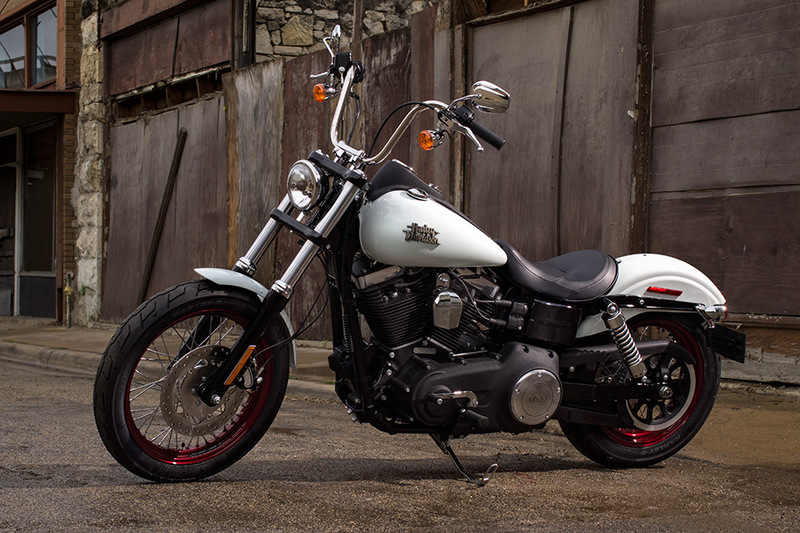 Find out more about the latest 2016 Street Bob® below, or contact Avalanche Harley-Davidson® and discover why it’s the perfect bike for Denver, Colorado. 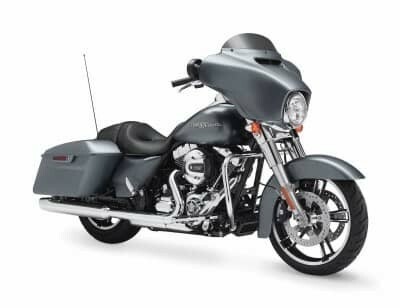 The Street Bob® comes standard with the iconic Twin Cam 103™ V-Twin that produces that signature Harley-Davidson® rumble and plenty of muscle to go along with it. Six-Speed Cruise Drive: With this six speed transmission you can easily shift through the gears to get up to speed, and when you’re cruising on the highway, you’ll enjoy low volume and low engine speed thanks to the tall top gear. Twin Cam 103™ Engine: This powerful V-Twin delivers power and reliability, just like you’d expect from a Harley-Davidson® engine. 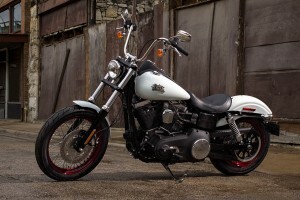 It’s descended from a long line of iconic power plants like the Flathead, Panhead, and Shovelhead. Innovation: With plenty of low-end torque, this powertrain pumps out the power you need to get up to speed in a hurry. 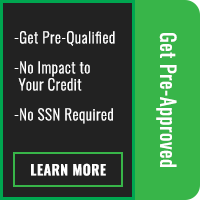 Plus, with a strong driveline, strong internal parts, and low routine maintenance, it’s the kind of powertrain you’ll be turning to mile after mile. 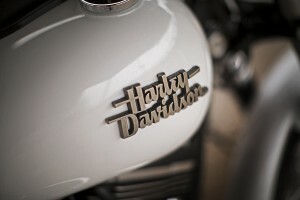 Pure Blacked Out Styling: For the engine, classic styling is mixed with modern blacked out finishes. You’ve got blacked out battery cover, textured black rocker covers, and highlights fins. It’s an elegant but powerful statement of an engine. 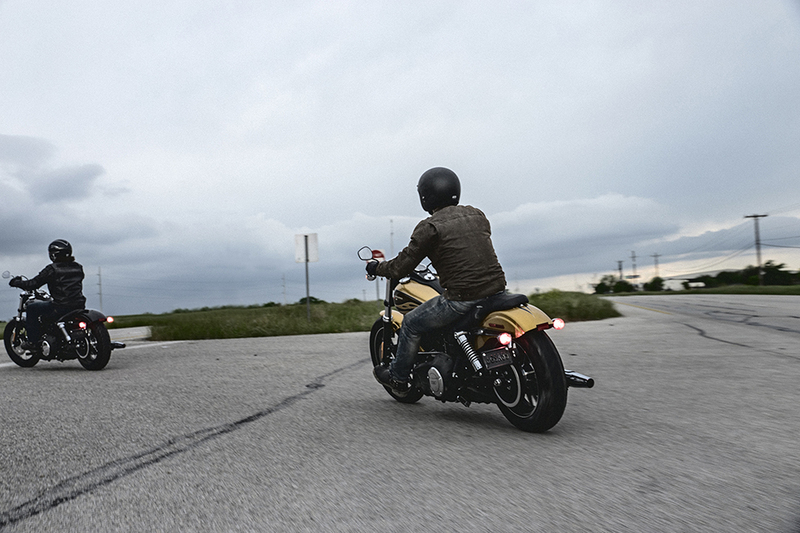 The Street Bob® is equipped with the kind of technology that you want in your new bike. Comes with plenty of classic styling and many modern features. 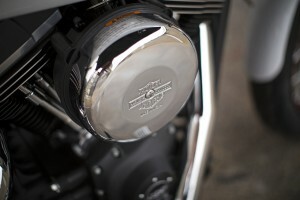 H-D® Smart Security: The H-D® factory-installed Smart Security System is available to protect your bike. It uses a wireless keyfob to activate the system when you leave it and deactivate it when you approach. 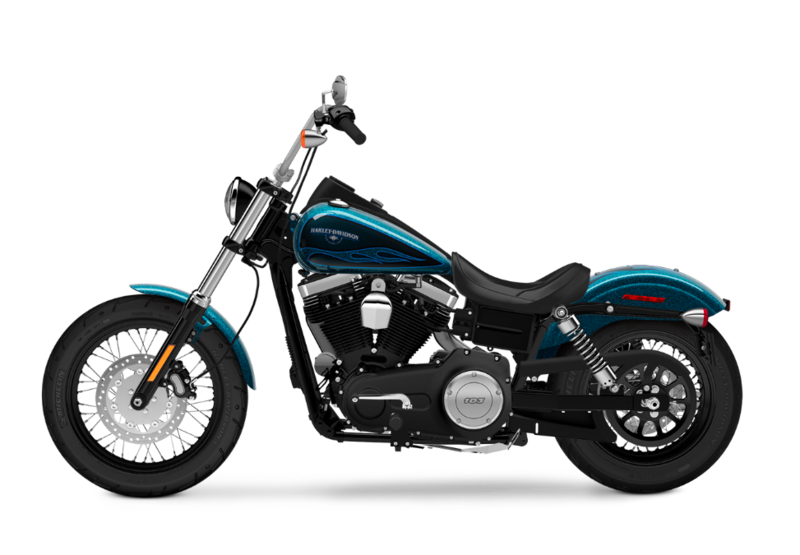 Antilock Brakes: The Street Bob® can be purchased with factory-installed antilock brakes for added stopping power and control in all conditions. 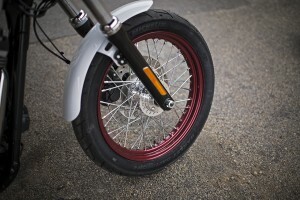 Plus, with a clean streamlined design, nobody’s going to notice any extra baggage on your brakes. The Street Bob® aims to provide both a comfortable ride and the kind of confident handling Harley-Davidson® bikes are known for. 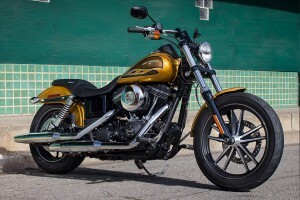 Adjustable Suspension: The Street Bob® uses an easily adjustable rear suspension to provide the kind of riding experience you want. All it takes is a wrench and you can go from aggressive and firm to laid back and plush in a second. Michelin® Scorcher™ Tires: The Street Bob® gets a set of performance oriented tires to grip the road even in the rain thanks to an exclusive deep-cut tread. Mid-Mount Controls: Relax and let your boots fall naturally. They’ll be resting on the mid-mounted controls which provide a confident ride for new riders and riders with shorter legs. The Harley-Davidson® Street Bob® focuses on eliminating the superfluous, so what you’ve got left is a pure, clean, minimal ride that’s only made up of what’s essential. Mini-Ape Hanger Bars: These classic stainless steel handlebars keep your fists up and the wires inside for a minimal, clean look. 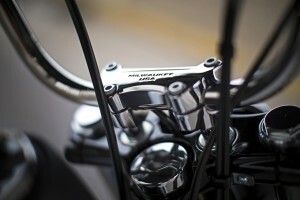 They’re also isolated via rubber clamps in order to reduce road vibration so you can ride all day long. 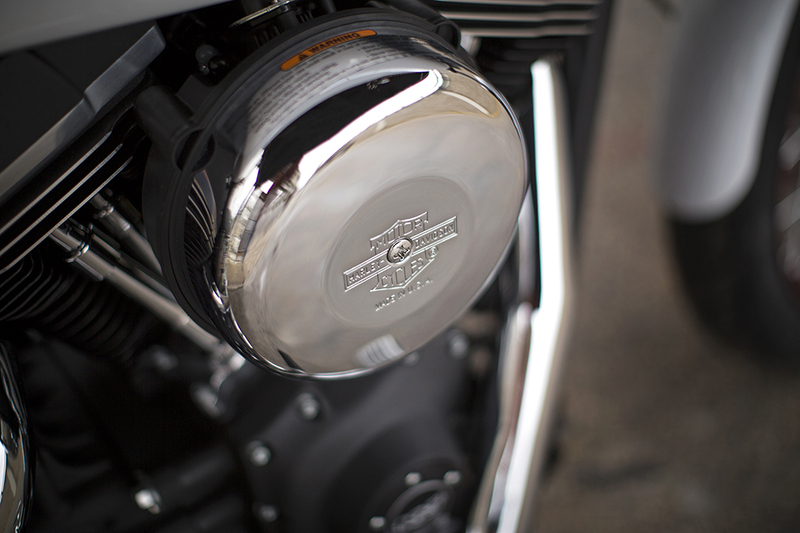 Fuel Tank Medallions: Cast fuel tank medallions let everyone know what you’re riding – as if they might mistake the Street Bob® for anything but a classic Harley-Davidson®. 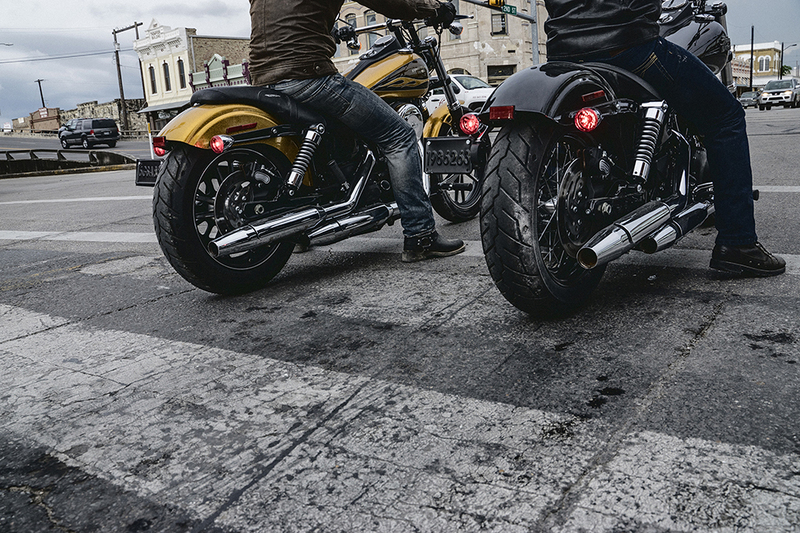 Stop-Turn-Tail Lights: Old school bullet lights are classic looking, but inside they’re up to date with LED technology that provides the brightness you need to be seen. Hard Candy Custom™ Paint: This premium finish provides a large metal flake that gives you the eye-catching look you want. Bobber Powertrain and Air Cover: The Street Bob® features the classic, retro style air cleaner cover stamped with the classic Motor Company Bar and Shield for an old-school look. Blacked Out Console: The blacked out console sits on top of the fuel tank, with everything you need and nothing you don’t: speedometer, gear and RPM indicator, tachometer, clock, trip computer, and engine diagnostic information. Blacked Out Rims: The Street Bob® gets a set of unique laced wheels with stainless pokes and a blacked out rim. The 19-inch wheel up front leads the way and makes a bold impression wherever you ride. 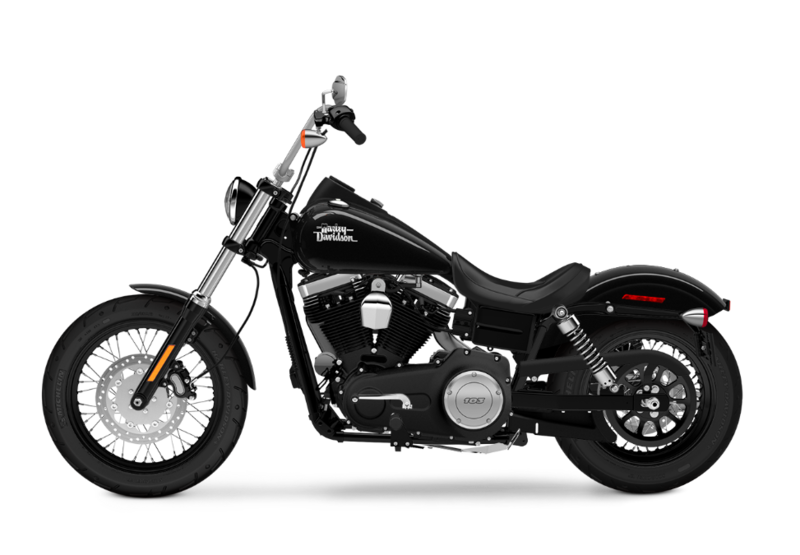 Black Out Styling: The Street Bob® favors low-profile blacked out finishes on the triple clamps, console, powertrain, and more for that raw street attitude.